Eight people suspected to be Rohingyas have been arrested during a raid at the house of one Sergul Barbhuiya, an oil tanker driver from Krishnapur under Sonabarighat of Cachar district in Assam on Sunday evening. Out of these eight, two males and six females were arrested by Utpal Chanda, officer-in-charge of Rangirkhri Police Outpost, acting on a tip off, and have been brought for further interrogation at Silchar’s Sadar Thana by Additional Superintendent of Police (Border) Gaurav Agarwal. 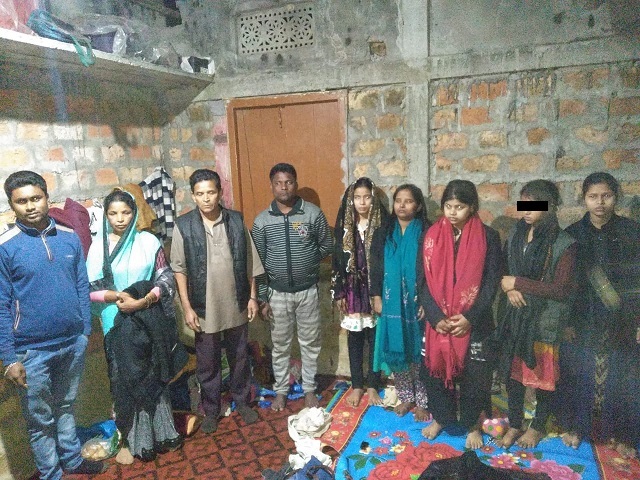 These suspected Roingyas namely, Jahir Khan and Amir Khan, along with Halima Begam, aged 45 years, Nur Nessa, Dilwara Begam, Tamanna Begam, Fatima Kahtun and Tamiya Begam aged between 14 and 20 years, have been living in the house of Sergul Barbhuiya for the past four months. After initial interrogation, police found that all of them were unable to speak properly in Bengali language which has doubted further their claims of being a resident of Tripura’s Sonamura, informed a police official on condition of anonymity. At the time of filing this report, all eight of them are being extensively grilled by ASP (Border), Gaurav Agarwal, and DSP (Sadar), A J Bora, at Silchar’s Sadar Thana.